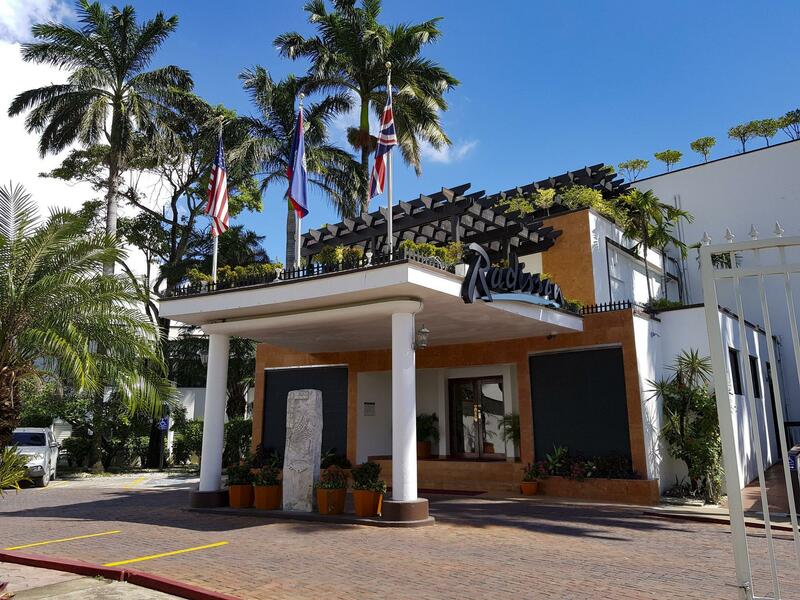 ﻿ Book Radisson Fort George Hotel and Marina (Belize City) - 2019 PRICES FROM A$154! Have a question for Radisson Fort George Hotel and Marina? Situated in Tourism Village, Radisson Fort George Hotel & Marina is the perfect place to experience Belize City and its surroundings. From here, guests can enjoy easy access to all that the lively city has to offer. A haven of rest and relaxation, the hotel will offer total renewal just steps away from the city's numerous attractions such as Discovery Expeditions, Baron Bliss Lighthouse, Diamonds International. At Radisson Fort George Hotel & Marina, every effort is made to make guests feel comfortable. To do so, the hotel provides the best in services and amenities. The hotel provides facilities for disabled guests, Wi-Fi in public areas, car park, room service, babysitting to ensure our guests the greatest comfort. In addition, all guestrooms feature a variety of comforts. Many rooms even provide air conditioning, heating, desk, balcony/terrace, telephone to please the most discerning guest. Besides, the hotel's host of recreational offerings ensures you have plenty to do during your stay. Whatever your purpose of visit, Radisson Fort George Hotel & Marina is an excellent choice for your stay in Belize City.